Hack Wilson is not only a Hall of Famer; he was one of the true characters of the sport. Even his name - "Hack" - couldn't have been more appropriate as Wilson was known for his vicious swing at the plate. He may have only stood 5’6”, but Wilson was as strong as an ox. In fact, his single-season RBI total of 191 remains the MLB record, a record that seems virtually unattainable. In the following piece, we learn more about Wilson and the collectibles hobbyists pursue. Joe Orlando spends time writing each month. Usually, he tries to cover a hobby-related topic in a thorough manner. This time, Orlando found a photograph that, in his opinion, captures what the hobby is all about without the need for any in-depth analysis. With the NFL season heading into the home stretch, he felt it was appropriate to share this great image with fellow collectors. A gridiron legend and a fan who, for a moment, became a kid again. In this 99-card classic, so many key basketball cards reside. From the #1 card of Wilt Chamberlain to the multitude of key rookies like those of Connie Hawkins, Walt Frazier and Lew Alcindor, these colorful giants remain popular today along with their sister 1964 Topps Hockey and 1965 Topps Football Tall Boy sets. The set registry is ever-evolving in many respects and that includes the ebb and flow of competition over time. With two outstanding 1969 Topps sets already inducted into the set registry HOF, the 2013 winner for the Best Vintage Basketball Set of the Year has now vaulted itself into the #1 spot and is the finest of all-time. With a GPA of 9.19, this set tops all the rest in this very competitive category. Click here to view this set. HURRY! Set Registry Special ends 11/30! All Sports & Non-Sports Tickets - $18 per Item/No Minimum - 45 Business Days (approx.) Click here for details. Greg Bussineau Sports Rarities "Fall 2013 Vintage Trading Cards and Memorabilia Auction" is now open for bidding. The auction features 869 lots of important rarities, highest graded examples, legendary Hall-of-Famer cards, and complete sets. The closing date is Thursday, December 5th. SCP Auctions is proud to announce the offerings in their upcoming auction will include Olympic athlete Jesse Owens' 1936 Gold Medal, Boston Red Sox outfielder Shane Victorino's grand slam home run ball from the 2013 ALCS and prominent items from MLB All-Stars Jackie Robinson and Goose Gossage and NFL great Warren Moon. The auction runs Wednesday, Nov. 20 through Saturday, Dec. 7 at www.SCPAuctions.com. 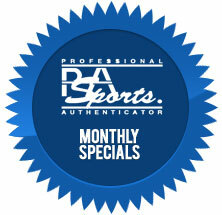 At first glance, the new holders developed by Professional Sports Authenticator (http://www.psacard.com) and PSA/DNA Authentication Services (http://www.psadna.com) may look exactly like the familiar holders PSA has used for decades. But in addition to now adding a hologram on the back of the inserts, a major yet subtle change to the holders themselves will provide improved safety and security for the PSA and PSA/DNA-certified collectibles they house and protect. Mile High Card Company's latest Extra Innings Auction is live on the company's website at www.milehighcardco.com and will culminate bidding on November 26, 2013. MHCC's Extra Innings auctions are a markedly different format than the company's catalog auctions utilizing the same online platform without a catalog of the auction items. The current auction features nearly 600 lots and is the company's largest Extra Innings Auction to date featuring a multitude of PSA graded items. Peter Lalos, long-time owner of Champs & Bums, is pleased to announce his first auction in over ten years. The auction goes live November 10 and will end December 1. The auction features a nice selection of vintage graded sports and non-sports cards. 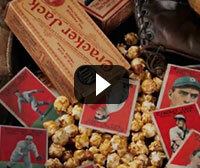 Highlights include over eighty high-grade 1952 Topps & 1952 Bowman baseball cards and more! Celebrating its three-year anniversary, Memory Lane Inc.'s latest I Own it Now catalog sale came to a close recently with hundreds of high grade and rare sports cards and memorabilia changing hands. The sale, which opened earlier this month, generated over $900,000 in sales, according to the company. This month's auction features a wide array of PSA graded cards, autographs, and memorabilia. One of the hobby's largest Derek Jeter collections will hit the blocks in single card lots, and with the Jeter market at an all-time low, there may be no better time to acquire low pop rookie and insert cards of The Captain than there is now. Value aside, which one of the following Chicago-based rookie cards would you want to own the most?